When we blink, tears are spread over the entire surface of the eye. This process helps to remove dirt, foreign agents and keep the eyes lubricated. But when it doesn’t work, it causes several physiological problems, one of which is chronic dry eye, which is basically the complete disappearance of lubricating tears. There are many origins, from something as simple as dehydration, or it can be an indicator of diseases like diabetes, high blood pressure or kidney disease. It can also be attributed to compulsive smoking; the eye is a sensitive organ, and so the cigarette smoke affects the tear ducts. To combat this problem, we present some natural solutions so you will know how to treat chronic dry eye. 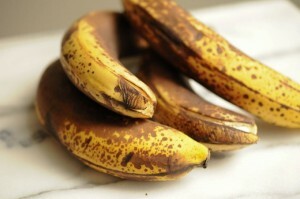 Dryness of eyes due to allergies, which obstruct the tear ducts. Rheumatoid arthritis and lupus are diseases that attack the immune system and one of the consequences of this problem is reflected in tear production. Another cause is cold medicines. Other factors such as air conditioning cause chronic dry eye; this is common in people who drive long distances. 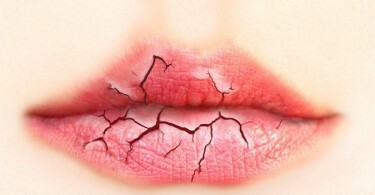 Sjögren syndrome, which is characterized by dryness in the mouth and eyes. This is an autoimmune disease that can get worse if not treated early, causing damage to some vital organs such as the kidneys and liver. The most well-known symptoms that are experienced with dry eye include: first of all, the feeling of dry eyes, which can often cause redness and itching, causing mild or sharp pain in some advanced cases. Contrary to popular belief, when there is irritation caused by dry eye, it can cause excessive tear production, which tends to feel as if you have a fleck of sand under your eyelid, and tends to be accompanied by blurry vision. When chronic dry eye is in an advanced stage, it can cause inflammation in the cornea and also infection in the eye. In these cases, it is always recommended to see an ophthalmologist and vision specialist to determine what is best for your situation. Itching of the eyes. Those who have irritated dry eyes may present symptoms similar to allergies, except in this case without the typical runny nose. Dry, itchy eyes tend to be very bothersome and make it hard to concentrate for those who suffer from it. It tends to feel like you constantly have “junk” in your eye. Dry, red eyes. Dry eyes with redness end up causing fatigue in those who suffer from it, even making the whole face look bad. 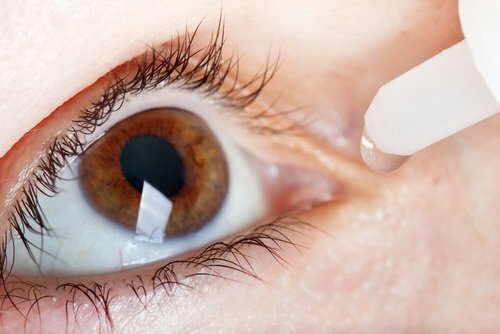 There are eye drops for dry eyes that help treat redness by helping to constrict the blood vessels, although these lose their effect over time. When constantly faces with these symptoms it’s recommended to have a specialist examine your eyes. Burning sensation. When dry eyes get worse, it can cause damage to the surface of the eye. The ocular tissues can be damaged as a result of the lack of moisture, causing strong pain in the eyes. It becomes a vicious cycle because the lack of tears continues to produce irritation. It is very important to consult an ophthalmologist and avoid rubbing your eyelids, as this will worsen the burning feeling. Pain in your eyes. The irritation caused by chronic dry eye makes you have to blink almost constantly to get the necessary moisture, but after you don’t get it, this repetitive movement of your eyelids can cause pain in the muscles surrounding the eye and cause exhaustion. You may also start to feel pain in your eye when touching it with increases pressure. The following are some effective home remedies to treat dry eyes, providing natural lubrication and anti-inflammatory effects for the eyes. Cucumber contains the majority of its nutrients in its juice. 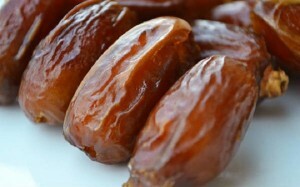 It’s a treat for the eyes and also lubricates them. It’s enough to place cucumber slices over half-opened eyes for five minutes. 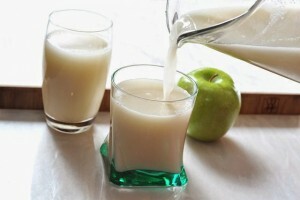 The process can be repeated three times in the morning and before sleeping. 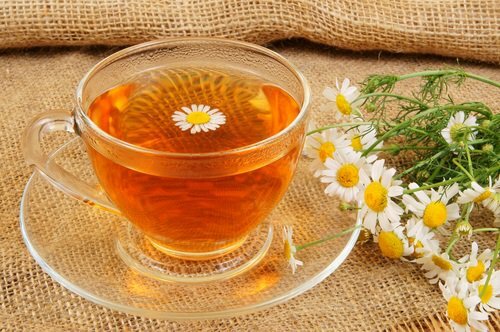 Add 200 mL of water and two tablespoons (20 g/c) of chamomile to pot. Let it boil and after a while let it sit until it is lukewarm. Now, use a cotton ball to apply it to each eye. At first, relax your eyelids and soak them with the chamomile tea. Leave them like that for about three minutes and then remove. Chronic dry eye is preceded by a change in the immune system. 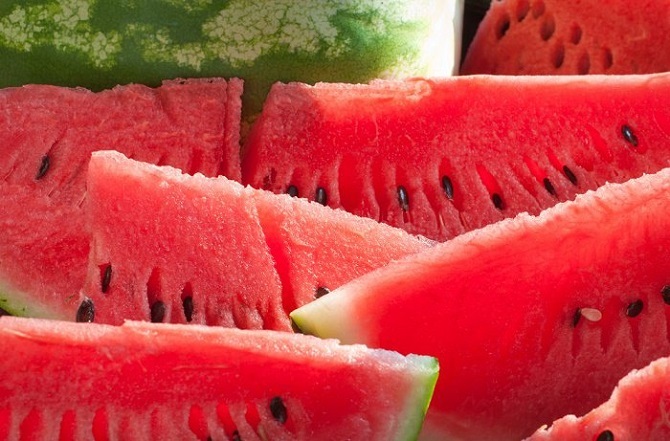 Defenses weaken due to poor nutrition that gives few nutrients to the body. Antigens are diminished and any foreign agent can provoke different reactions in the body. Eating well can avoid these complications. This is where the importance of foods rich in Omega 3 comes in. Linseed oil contains fatty acids that help with correct functioning of the Meibonio glands and prevent fast evaporation of tears. Fatty acids help with macular regeneration and for that reasons cataracts will not appear right away. 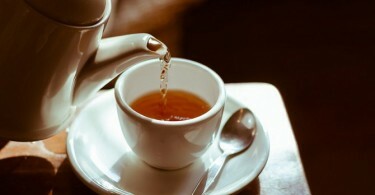 Black tea contains a high quantity of antioxidants that help combat chronic dry eye. To do the treatment, you just have to make a small tea. You should apply to the eyes when the bags have cooled down. Close your eyes and apply one bag to each one. Let sit for 20 minutes. Complications: What should I do? Chronic dry eye can cause burning and pain. In its early stages it can be fought with these home remedies, but when the dryness causes cracks in the cornea (clear layer), the pain increases intensely and there is a high probability of damaging your vision. In cases like this a visit to a specialist is imminent, who in extreme cases will perform a minor surgical procedure.